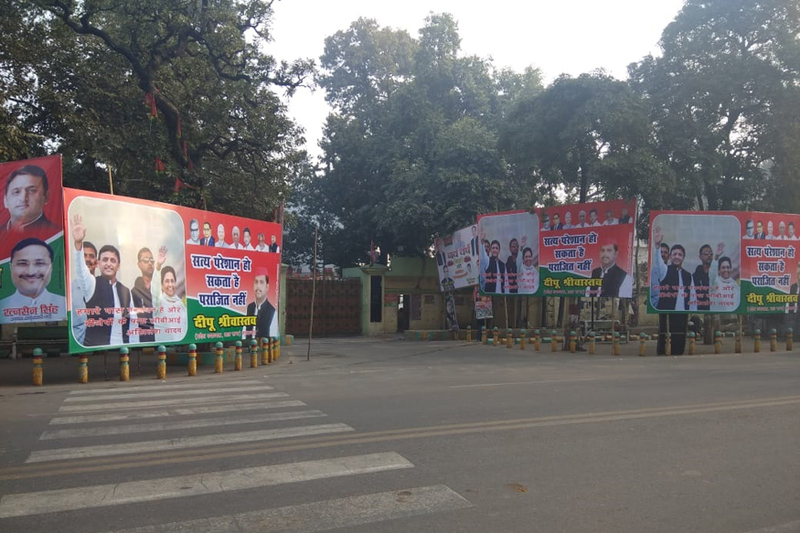 Lucknow has been decked up with posters of Samajwadi Party (SP) chief Akhilesh Yadav and Bahujan Samaj Party (BSP) supremo Mayawati, ahead of the crucial joint press conference which will be held later today. 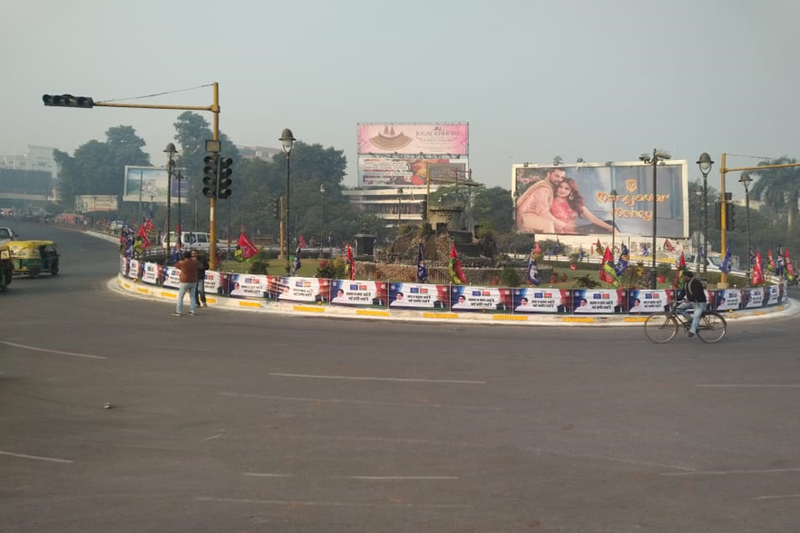 Lucknow: Lucknow has been decked up with posters of Samajwadi Party (SP) chief Akhilesh Yadav and Bahujan Samaj Party (BSP) supremo Mayawati, ahead of the crucial joint press conference which will be held later today. 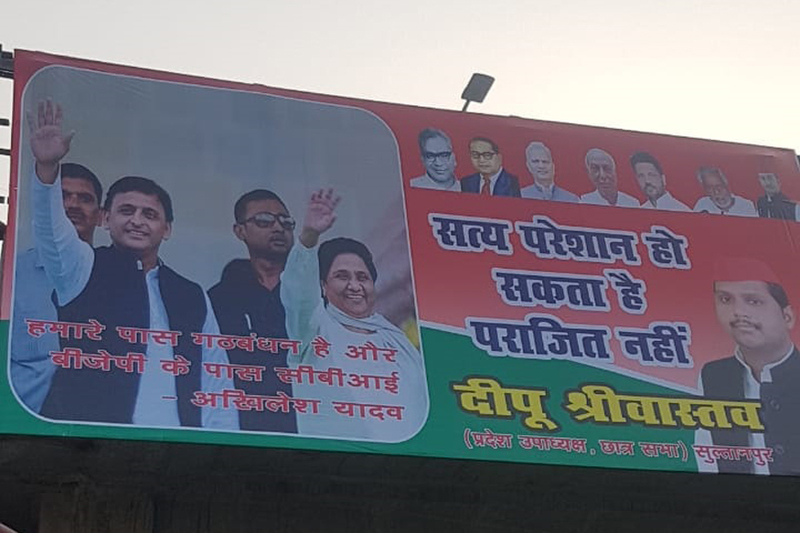 Besides Akhilesh and Mayawati, the posters also feature senior leaders like BSP All India General Secretary Satish Chandra Misra and SP leader Ram Gopal Yadav, with a slogan humara kaam bolta hai and Bhajpa ka jhoot bolta hai (Our work speaks, BJP's lie speaks). SP and BSP have been in talks for weeks with regard to forging of an alliance and a meeting between Yadav and Mayawati recently had triggered a lot of speculation about seat-sharing being firmed up. The two parties are likely to announce an alliance ahead of the 2019 Lok Sabha polls. Earlier on Friday, Akhilesh had said: "Whatever arithmetic we learnt from the BJP, we will implement it." 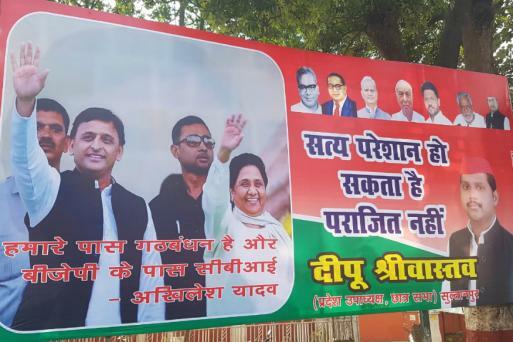 To substantiate his point that the alliance between SP and BSP would be beneficial, he cited the example of by-elections held some months back in Gorakhpur Lok Sabha constituency in Uttar Pradesh, where the BJP was defeated despite it having been represented by Chief Minister Yogi Adityanath several times. 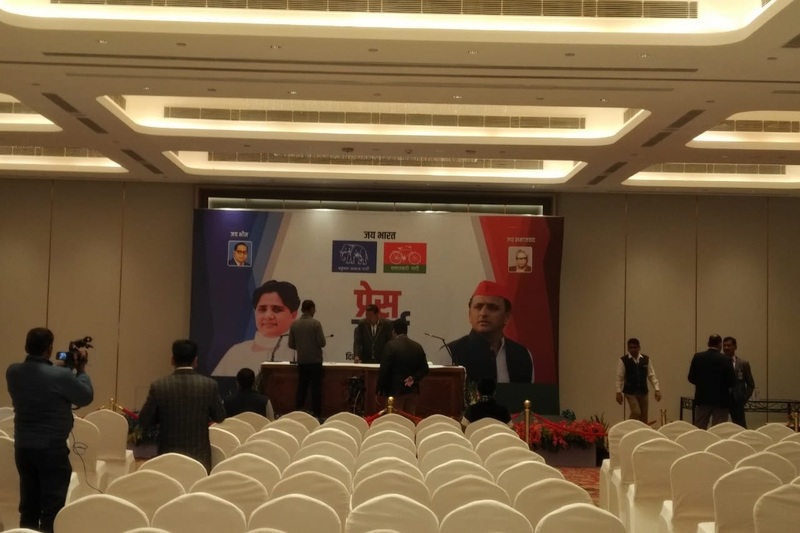 There was, however, ambiguity over whether the Congress would be a part of the alliance, amid indications that the SP and BSP were not inclined to include the party. Meanwhile, Rashtriya Lok Dal (RLD) president Ajit Singh said his party will also side with the SP-BSP partnership for the upcoming Lok Sabha polls. However, he said there have been no talks of seat-sharing yet. On whether the Congress would also be a part of the alliance, Ajit said a decision will be taken by Akhilesh and Mayawati. "We had our meeting with Akhilesh Ji. We are a part of the 'grand alliance', but we haven't discussed seats yet," the RLD president said. Earlier, senior SP leader Prof Ram Gopal Yadav had said: "Mayawati and Akhilesh will decide with whom the 'grand alliance' has to be formed in Uttar Pradesh," he said.